Are you unintentionally confining customers to thinking inside your organization’s box? In reality, they may not want or need your current product or service mix. Yet you persist in trying to convince them of the validity of your product or service offerings. Because you are stuck thinking inside the box. And while your offerings, or your startup concept, may be perfectly valid to you, customers simply do not need it or want it. In fact, customers may be good and stuck thinking inside the confines of their own boxed beliefs, habits and processes. That is why listening to customers’ unmet needs becomes a more valuable use of your time. Why continue to try to convince them to purchase what your company has to offer? Otherwise, customers begin to feel boxed in by your solutions, rather than helped by them. When confining customers becomes your sales strategy, you cannot listen to their stated or unstated requirements. Sales professionals must meet sales quotas so they can be compensated. In other words, every customer you speak with looks like the perfect fit for the box that holds your product and service offerings. As a result, you do not consider that certain customers are nowhere close to being ideal customers, let alone motivated and interested ones. On the other hand, while being interested and motivated, some customers do not have the people, processes and systems in place to support using your products or services. Either way, by pitching and selling your stuff at customers, you prevent them from telling you their real needs. You cannot listen when you are busy getting them to fit into your sales box. Then, if you are in the startup space, team members confine the customer discovery process to fit into the needs of their startup concept box. Like those sales professionals, the team is committed to validating the startup concept. As a result, you may be doing far too much pitching at customers and far too little listening to discover their real needs. All customers may not be ideal customers for your concept. Rather than confining customers within the constraints of your current concept, free them up to identify other areas of their business which are in need of your innovation. You cannot discover what you do not know, when you restrict customer conversations to the features and benefits of the current startup concept. Finally, if you are designing and implementing, are you confining customers by offering them the same old, boxed solutions? Existing customers may be looking for continuous innovation from you. Like those startup teams, do you still have the ability to listen with new ears to discover unmet needs? Or do you dial up an existing re-order? Are you assuming things haven’t changed on the client’s side of the business table? Because they have. 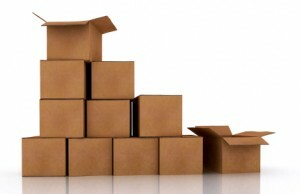 By confining current customers to the box holding yesterday’s solutions, customers cannot compete today and tomorrow. In addition, thinking inside the confines of your organization’s box confines your own professional growth and innovation. My advice: Professional innovation starts by liberating yourself from in-the-box mindset. Become more adept at discovering customer needs. Why continue confining customers to the limits of in-the-box products, services and concepts? Take these next steps towards changing customer discovery habits which hamper professional innovation. Read these related posts on professional innovation, workforce engagement and customer retention. Babette Ten Haken, Founder & President of One Millimeter Mindset™ serves organizations as a corporate catalyst and innovative speaker, strategist, coach and storyteller. Babette’s One Millimeter Mindset™ Workshops and Speaking programs leverage collaboration to catalyze professional innovation, workforce engagement and customer retention, especially in challenging Industrial Internet of Things environments. Babette’s playbook of IIoT team collaboration hacks, Do YOU Mean Business? is available on Amazon. She is an EOS Implementer (Entrepreneurial Operating System®) and a member of SME, ASQ, SHRM and the National Speakers Association.